With Petr Janda in charge, the first Olympic line-up originated in Prague in 1963 (initially named Big Beat Quintet). Their first single was a cover version of The Beatles' "From Me To You", indicating their direction for the following years when they were Czechoslovakia's premier heat-hand. Olympic also toured Poland with The Animals in 1966. Their first album Želva (1968) was up to date with the hottest Western influences at the time, including Pink Floyd and The Juni Hendrix Experience. This reached a peak on the long freak-out "Psychiatrický Prášek". Other tracks were more in line with the 1966 British beat sound. A very good album! Ptak Rosomak (1969) had massive orchestration and sitar parts, much in the tradition of Sgt. Pepper. These are among the most interesting sixties artifacts from Czechoslovakia, along with the stunning Matadors album. 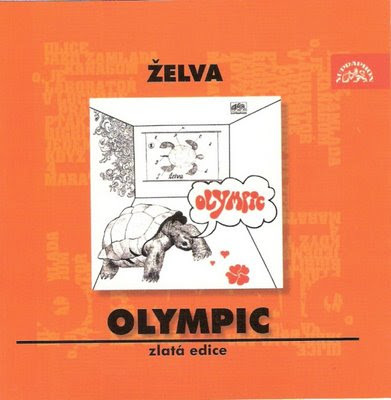 At the turn of the decade, Olympic were the victim of the paranoid authorities, who banned their earlier albums. Still, they were allowed to make further albums and Jedeme Jedeme (1971) was another album strongly influenced by the late sixties Beatles, but also showing some early signs of progressive rock, much like Spooky Tooth's first album. When Olympic resurfaced in 1978 with Marathon, their sound had changed considerably. It seems they attempted to be the Czech answer to Omega (or Eloy), presenting synthesized heavy-rock. This was well received by the record buyers and Olympic followed the same commercial direction on their eighties albums, although with a gradually decreasing musical quality.